"It’s an inspirational way to travel, too," said Holden. "You push a button, fly over the city, and you land. No volatility." 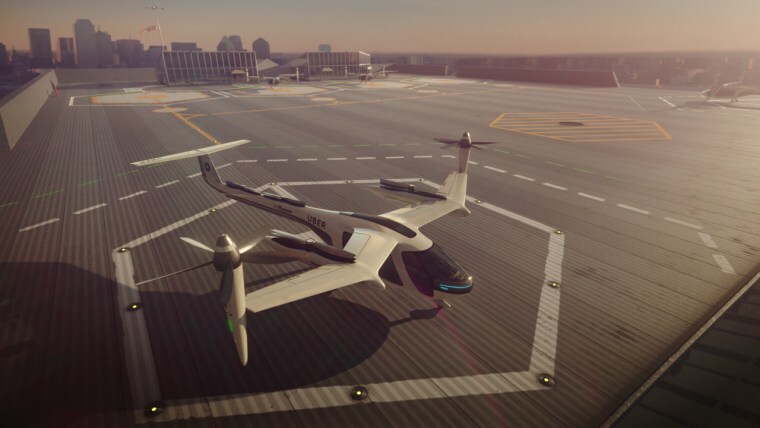 That route by air could initially cost $129, with the price dropping to $43 in the near term and $20 in the long term, according to a forecast from Uber. Holden said he's confident Uber can stick to the timeline. And when people finally get to commute by air, he hopes they think of it as an "incredibly life-changing experience." "This offers people the opportunity to get from point A to point B super fast," he said. Not only that, but he hopes the price will delight passengers, too. "[I hope people say], 'I can not believe how inexpensive this is. I can afford to use this type of service every day." "Should be 2 miles long in three or four months and hopefully stretch the whole 405 [north to south] corridor from [Los Angeles International Airport] to the 101 in a year or so," Musk tweeted. The way Musk sees it, cars and people would be able to travel through the Boring Company's network of tunnels on an electric sled. Those sleds would pick them up at designated spots above ground along the tunnel network. The cars would then be taken in an elevator down to the tunnel, where the sleds could reach speeds as high as 150 mph, getting people where they need to be faster and making rush hour traffic a relic of the past.